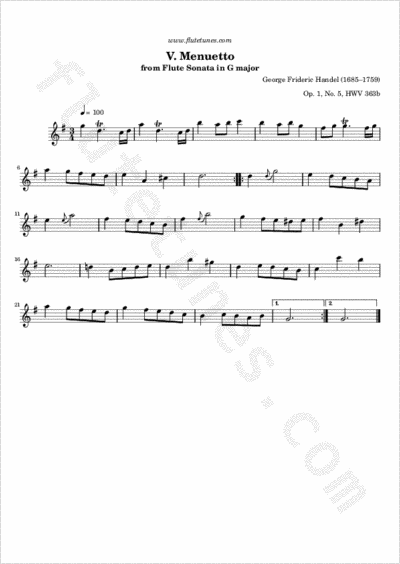 This minuet (Handel uses the old Italian spelling “menuetto”) is the fifth and last movement of the German-British composer's Sonata in G major for flute and basso continuo. The piece is based on a favorite theme of Handel's, which is also found as a keyboard piece and at the end of the Concerto Grosso in F major, Op. 3, No. 4a.